Milky Way over petroglyphs. 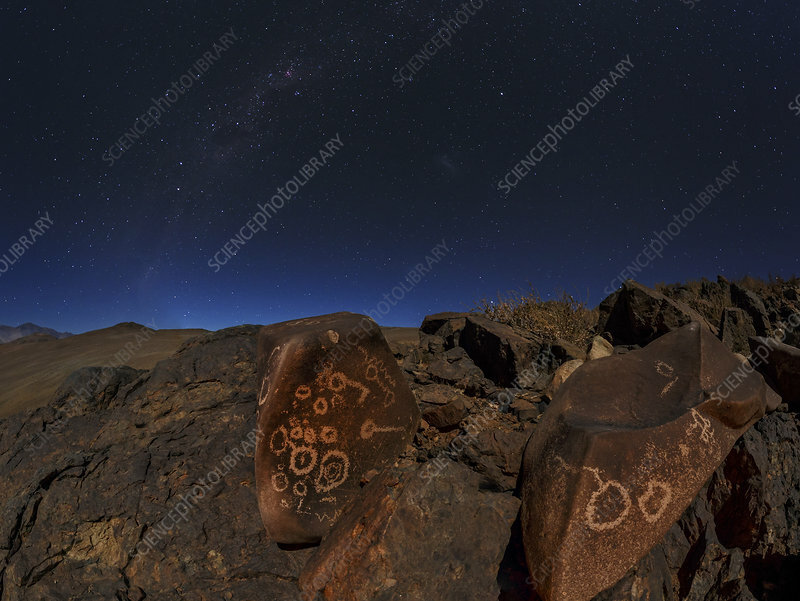 View across ancient rock art towards the Milky Way in the night sky. Here, the bright stars Alpha and Beta Centauri can be seen at left, followed by the Southern Cross (constellation Crux) and the Large Magellanic Cloud (centre). Photographed in the Atacama Desert, Chile.